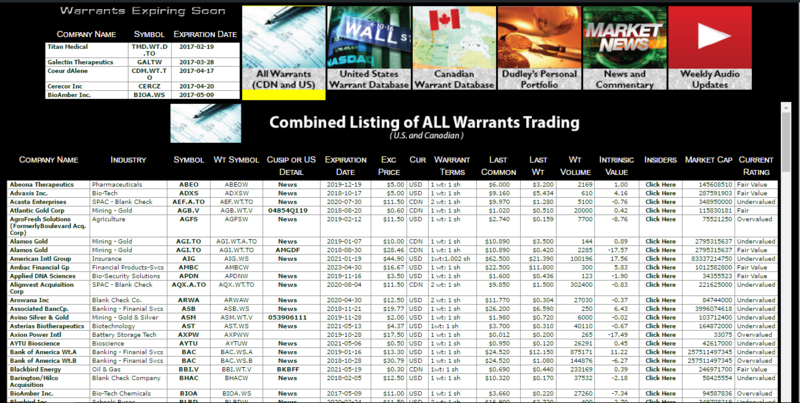 Join us NOW to access our 'Exclusive Database' of all WARRANTS trading in the United States and Canada. Enjoy your copy of The Stock Warrant Handbook as our gift for signing up to our free subscriber email list! 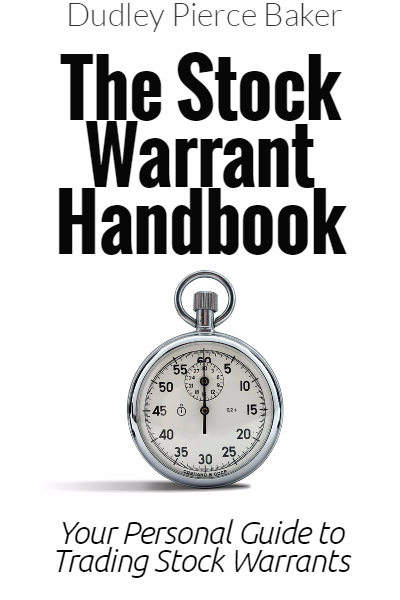 The Stock Warrant Handbook will serve as your personal guide to trading stock warrants. The handbook provides easy to read explanations of stock warrants and why you should consider adding stock warrants to your portfolio. As an added bonus, here are two additional downloadable books! Our Proprietary Rating System "Under Valued -- Fair Value – Over Valued"
Our Warrant Database, and Gold service with full access to everything. Your time as an investor or trader should be making decisions as to what to buy or sell, not spending countless hours, days and weeks of researching and accumulating information. Don’t spend your time trying to assemble all of this information and then the challenge of keeping it up to date, as this is what we do for you. There are many warrants trading which could be future 10 baggers but here are a few of the past performers.